I think skiing is romantic, braving the elements with your intended, gliding on glistening snow with your favorite guy (or gal), then warming your toes by a roaring fire together, sharing toddies and tales of your day’s adventure. But not everyone, specifically not all my gal pals, find skiing romantic. Black Diamond is not the sparkly ring variety ladies prefer. The words windchill, moguls, and maximum occupancy conjure cold, scary situations many would just as soon avoid. Here are some downright dreamy destinations you can drive to. These are really romantic inns and lodges that are a cupid’s arrowshot from the slopes. Reserving a romantic rendezvous at any one of these scenic spots should have you looking like a hero from a harlequin novel, skiing this season’s deep snow pack with your smiling sweetheart. 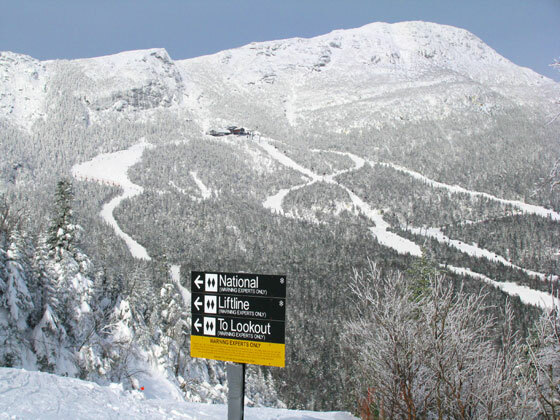 Stowe is known as “The Ski Capital of the East,” for its seriously steep trails Liftline, Goat, Starr and National – coined the Front Four. Stowe is also the romance resort of the East, for its softer side, snow-covered sidewalks of the Village in the shadows of the church steeple, outstanding eateries and abundant après ski pubs. This town has an alpine elegance that you just don’t find in most ski towns. 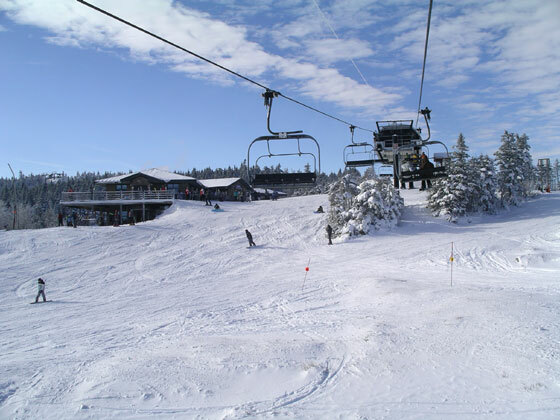 For slopeside lodging, stay at the posh Stowe Mountain Lodge, a regal rocky mountain style lodge in the center of Spruce Peak Village, with a spa, ski concierge and Performing Arts Center. 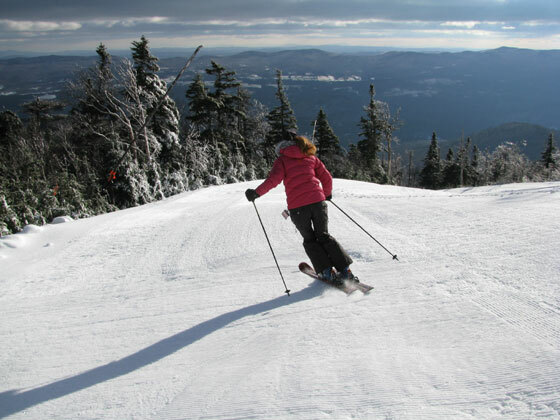 Ski your way down Stowe’s gorgeously groomed Sunrise or Gondolier on Mt Mansfield by day, and be sure to save energy for après ski, Stowe is strewn with chef-inspired restaurants, cozy pubs and even a few nightclubs. 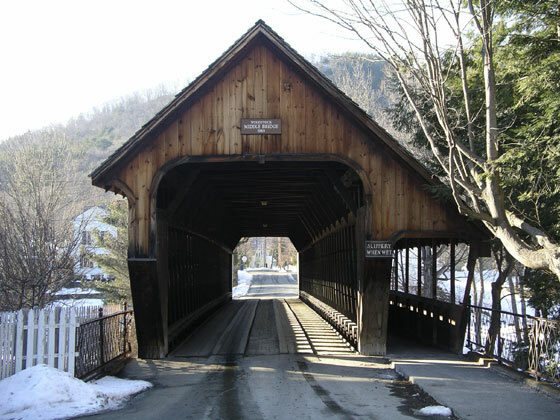 There’s something magical about the Mad River Valley, covered bridges, cute Vermont general stores, and rolling hills blanketed in sparkling snow. 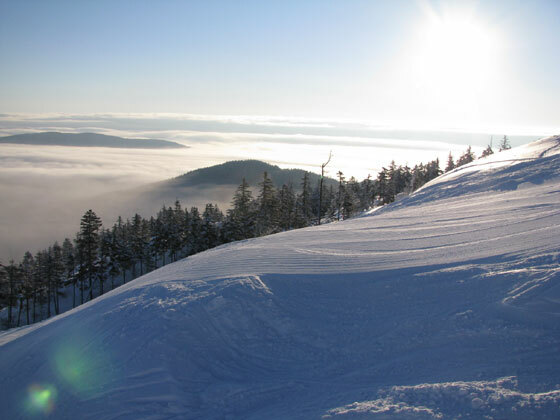 Add to the mix two ski areas and three mountains of skiing including Sugarbush’s interconnected Lincoln Peak and Mount Ellen, and you have yourself a winter winner. 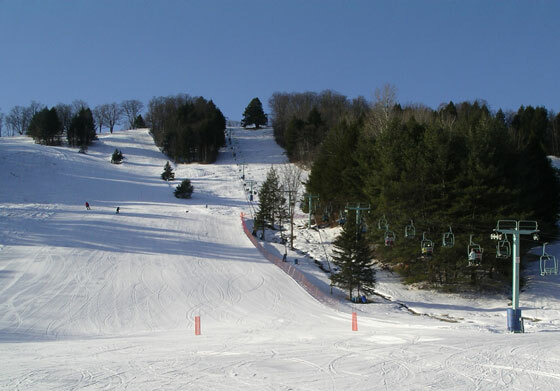 In fact, the Slide Brook Express swiftly transports skiers between Sugarbush’s separate slopes, over hotly debated bear mating territory. 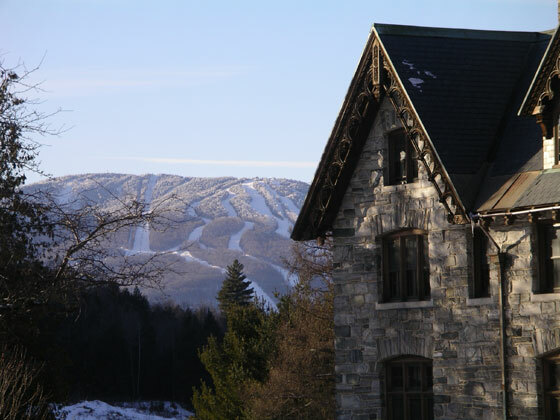 Stay slopeside at Sugarbush’s Clay Brook Inn, enjoy apres ski at Castelrock Pub and dine at the Timbers just steps away. Or The Pitcher Inn is an idyllic place to stay off mountain in Warren. Whether you plan to pop the questions or renew your vows – each suite is themed- we suggest the Ski Room. 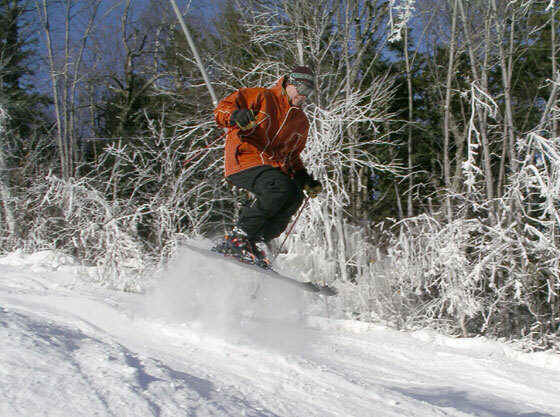 You may not make first chair at Sugarbush or Mad River Glen, but that’s romance for you. After ripping turns on Ripcord, or just enjoying the panoramic views on Jester, you may find yourself quitting before 4 to return to your fluffy robe, and the roaring fireplace. I fell head over heels (not on the slopes, fortunately) for the Castle Hill Resort & Spa near Okemo Mountain Resort in Vermont. 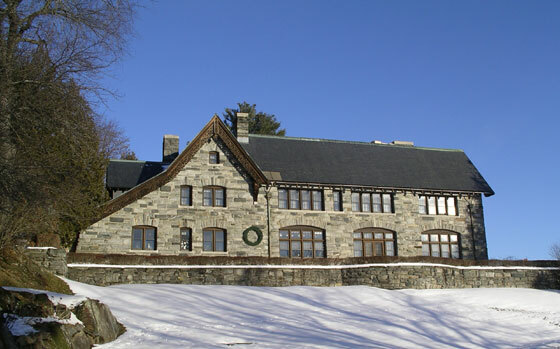 This gorgeous 1905 stone Castle was built for the wealthy Vermont Governor Fletcher (1912-1915) as his turn-of-the-century party palace. Perhaps you have passed this remarkable mansion perched on the hillside along Route 103 in Cavendish Vermont, just 3-miles from Okemo Mountain Resort. Next time be sure to stop. Inside, The Castle is richly decorated and perfectly preserved with a mahogany paneled library, private dining room and wine cellar. 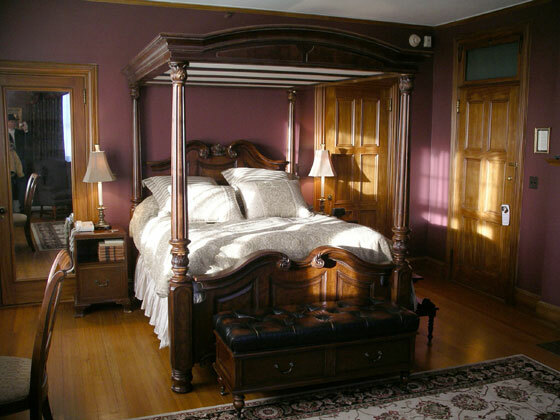 The Castle’s 10 upstairs suites feature lush canopy beds, deep wingback chairs, and rather splendid bathrooms (two have whirlpool tubs). From the oversized windows, you can see Okemo’s snow covered slopes. Or you can draw the velvet drapes, light the fireplace, climb into the posh four-poster bed, and catch first tracks on your next trip. If you have a proposal in your pocket, the Castle would be prime for popping the question. 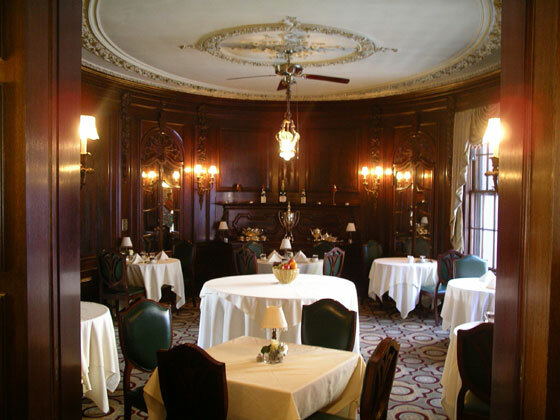 Perhaps a candlelit dinner by the fire in the elegant wood paneled dining room is your chance to spring a ring. 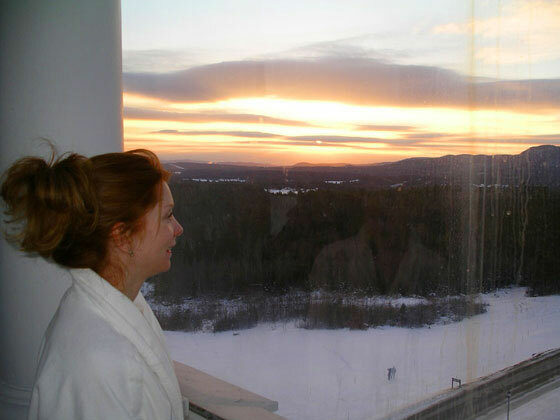 Lodging packages at the Castle Hill Resort and Spa include Champagne and Belgium chocolates in your room, skiing at Okemo, a four-course dinner and breakfast at the Castle, and use of the Aveda Spa facilities with outdoor heated pool and hot tub. 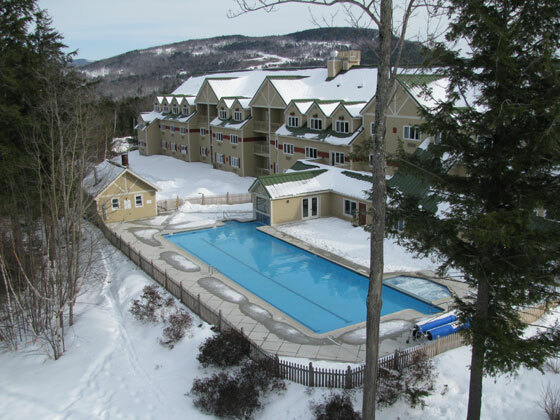 Another historical hamlet in Vermont, The Woodstock Inn is fantastic for skiers and sentimentalists alike – the resort owns both Suicide Six Ski Area and Woodstock Inn’s expansive Nordic resort, plus Spa and Health Club. 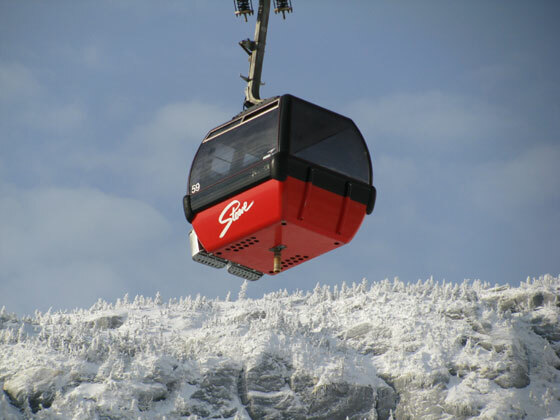 History buffs will love the lore behind the country’s first ski lift, established on the slopes of Suicide Six in 1934. Ask around about the legend behind the name… you are likely to get six answers. Here’s a romantic story. 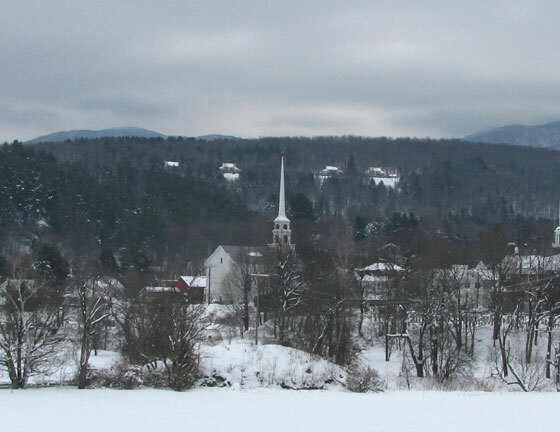 The same year the ski lift was powered up (by a Model T engine), Laurence S. Rockefeller married Mary Billings French – the matrimonial merger of two great families spawned a legacy of land preservation including Vermont’s only National Park in Woodstock. 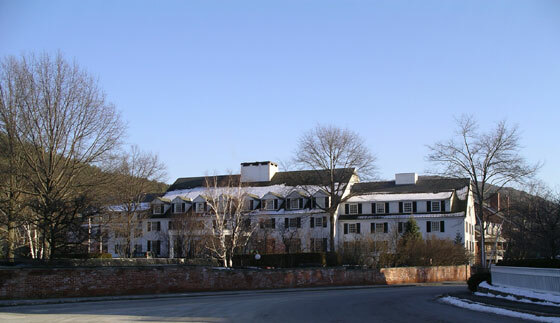 Staying at the 142-room Woodstock Inn, you are treated to elegant country lodging, four star dining, and live jazz in the 1793 replica Tavern. By day, you and your sweetie can carve the fun but not fearsome ski trails (despite how it sounds) at Suicide Six. 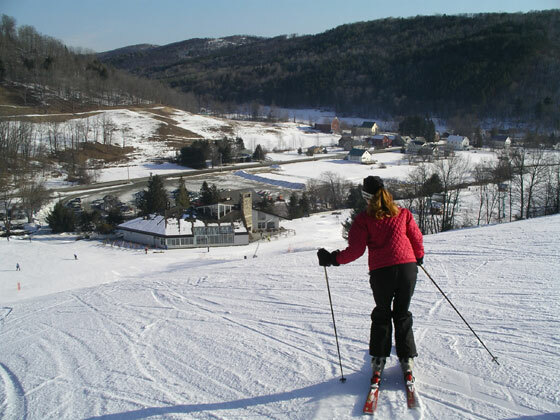 Guests of the Rockefeller’s 1969 Inn can also cross-country ski around the resort Golf Course or snowshoe up Mt. Peg or Mt. Tom for panoramic views of Vermont, including several perfect vistas to propose. 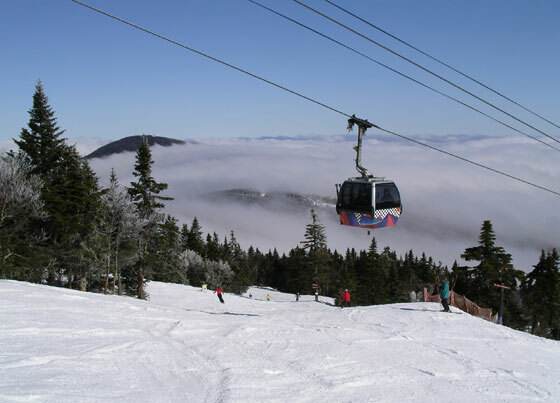 The ski slopes of Killington are just 20 miles from Woodstock if you long for the East’s most extensive lift and trail network. 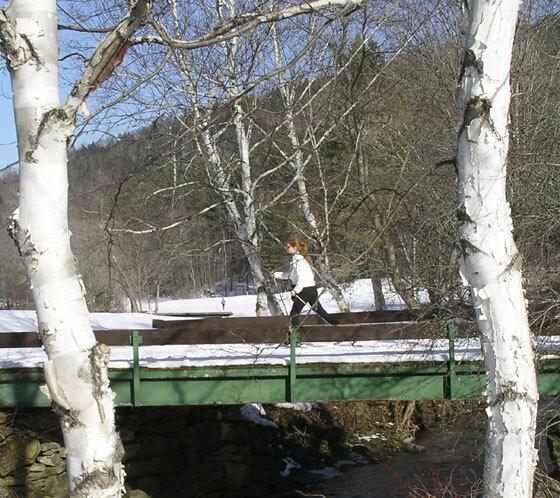 For amusing après ski, you can walk to Woodstock’s covered bridge, cutesy country stores and rather chic boutiques or just snuggle by the Inn’s mesmerizing 20-foot fireplace. 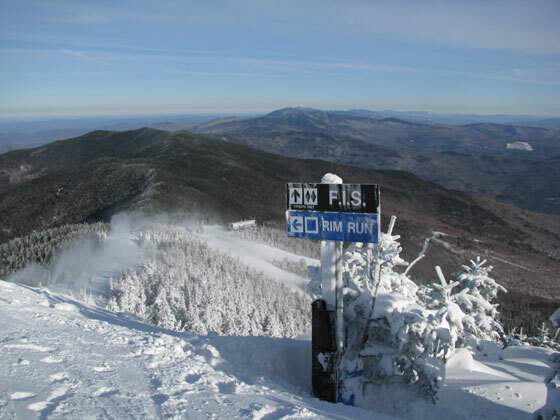 If your girl can rip on her board(s), a weekend at Sunday River Maine is the ticket, and slopeside at the Grand Summit is the slot. Roll out of bed, into your boots and boards to ski eight interconnected mountains by day, carving the legendary steeps of White Heat and swerving along the scenic s-turns of Lollapalooza. 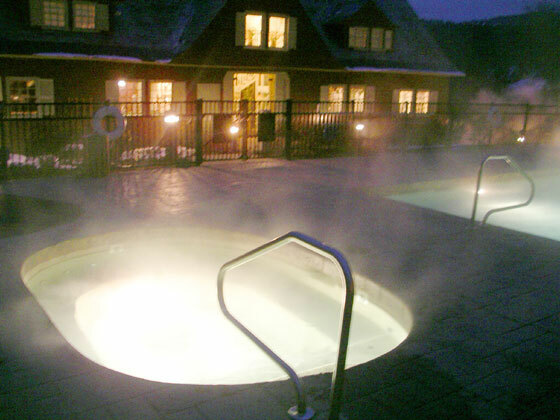 Go to the Foggy Goggle for some fun après then hit the hot tub in the outdoor heated pool. You’ll be rejuvenated and ready for dinner with a view of the groomers dancing on the slopes followed by fireworks and your own chance to dance. The River hosts a rocking concert series with live bands every Saturday night at The White Cap Center, steps from the Hotel. Have chocolate in your pocket for the lift ride. Chics dig chocolate. Keep your fingers crossed for snow, and keep your schedule open in case you get “snowed in” with your sweetie in the mountains.